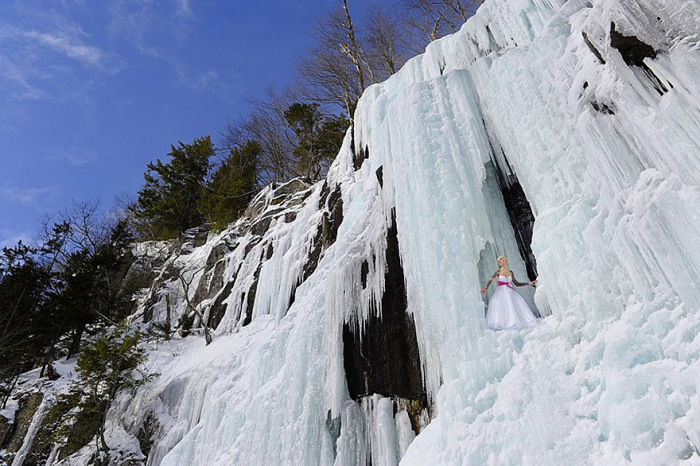 Photographer Jay Philbrick and his wife Vicki like to take their clients to Echo Lake State Park, New Hampshire. 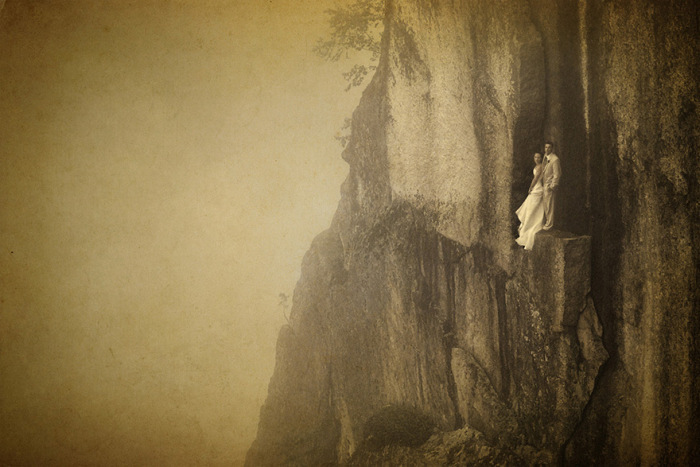 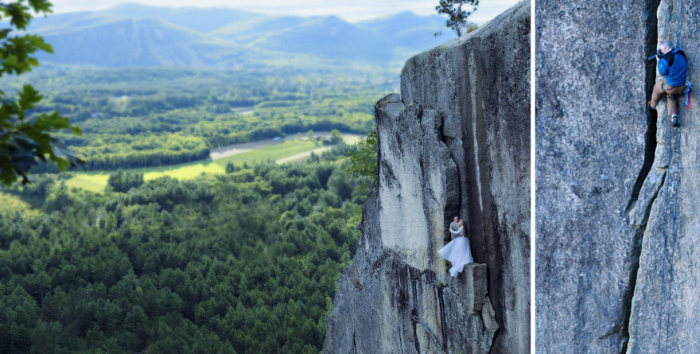 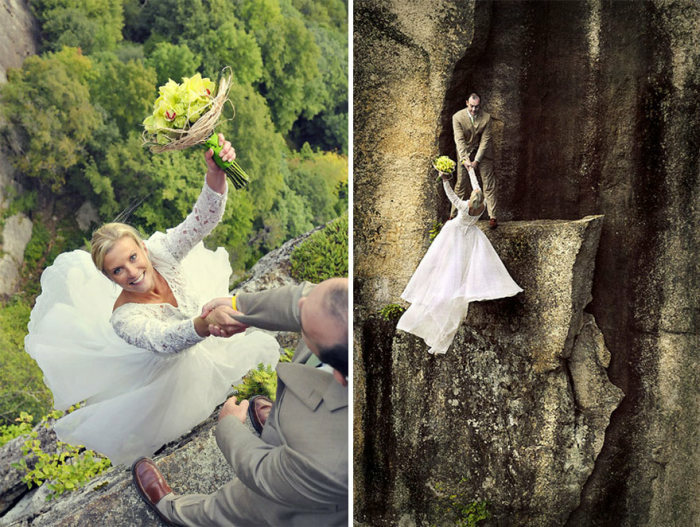 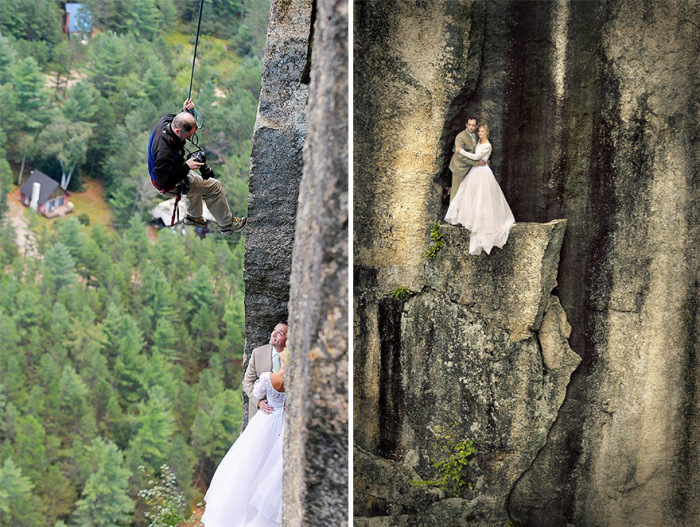 They then lower them down to a 350ft cliff below to give them extreme wedding photos that truly stand out. 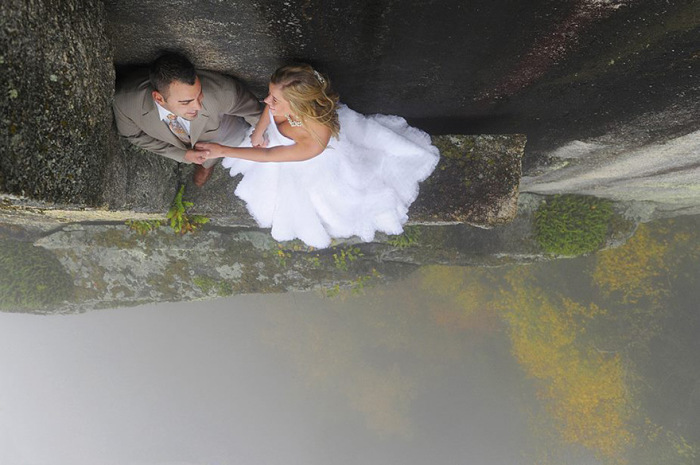 And i bet the cables were photoshopped.